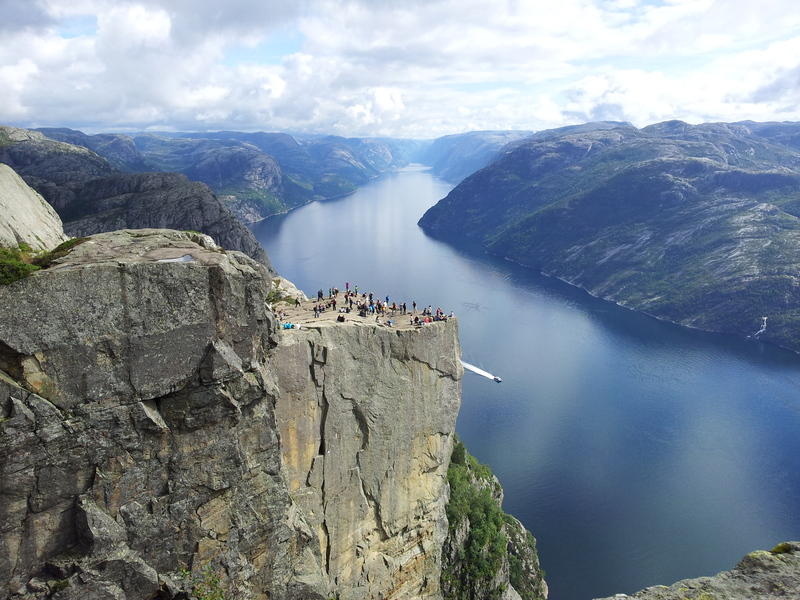 Here is a simplified, updated version of how to get to Preikestolen (Pulpit Rock) for this year 2015. With Tide Reiser you can buy your tickets directly on board the ferry to Tau. The roundtrip ticket for both ferry and bus costs 250 Norwegian kroner. You may also buy the bus ticket at the tourist information office in Stavanger. You can find their timetable here for April here: April Schedule. The timetable for the rest of the summer you can find here: Summer Schedule. The other company is Boreal. With them you will have to buy the ferry ticket on the ferry (98 kroner roundtrip), and the bus ticket on the bus with cash only (160 kroner roundtrip). You can find their timetable here: Schedule Boreal. You have two options. 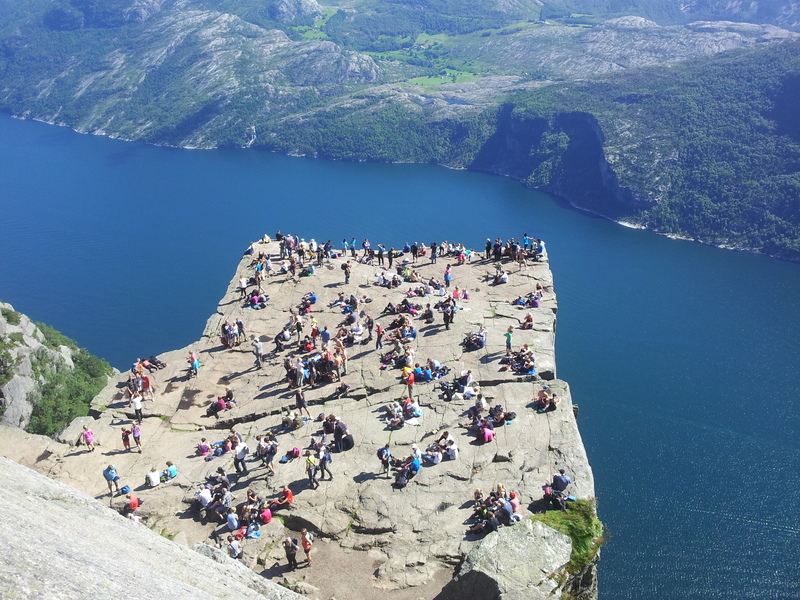 Either take the ferry I mentioned earlier to Tau (148 kroner for a car up to 6 meters long plus 49 kroner per passenger one way), and drive heading south on Rv 13, you will eventually be following the signs to Preikestolen. The second option is to drive from Stavanger to Lauvvik, and then take a ferry to Oanes (70 kroner for a car up to 6 meters long plus 29 kroner per passenger one way), and drive from there heading north following the signs. 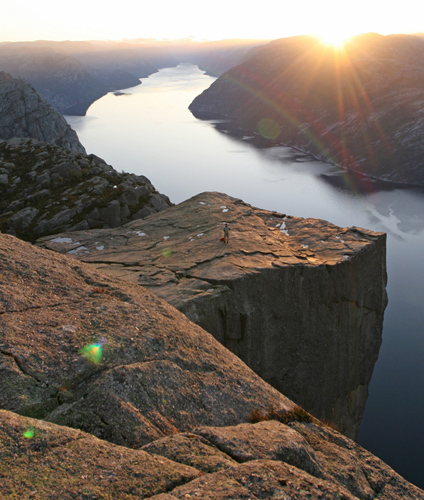 A guided hike will take you to see the sunrise from the top of the Pulpit Rock. If you want to go up while there is no crowd, then this is your chance. You will start in the midst of night and walk with headlamps. 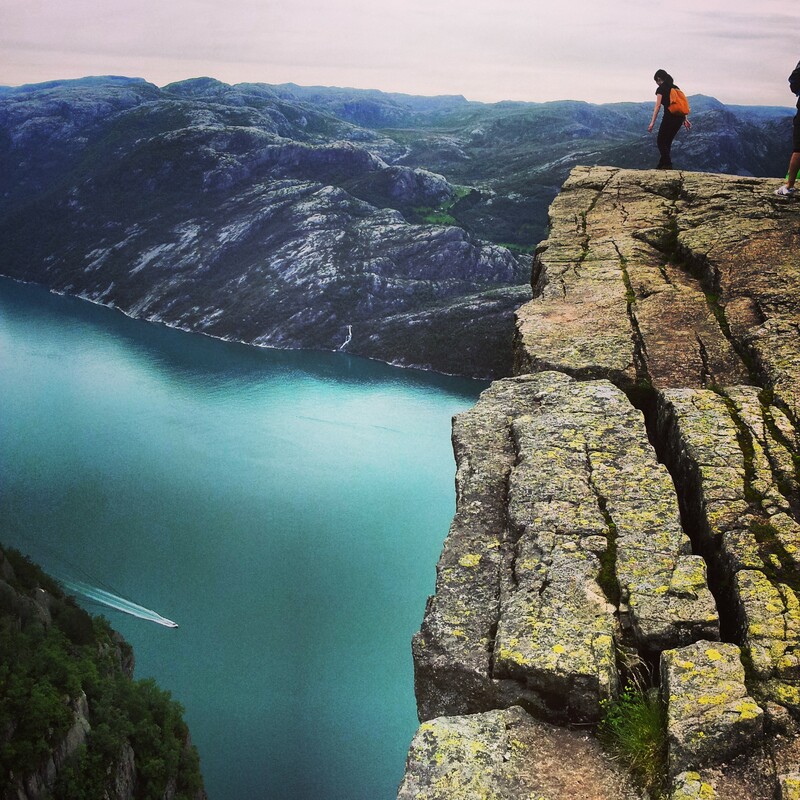 Before the first busses with tourists from Stavanger arrive, you will be on our way back to Preikestolen Mountain Lodge to conclude a totally different hiking experience with a well deserved breakfast. For booking and more information visit Outdoorlife Norway.